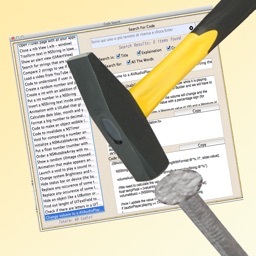 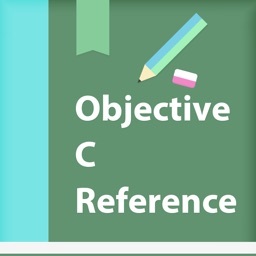 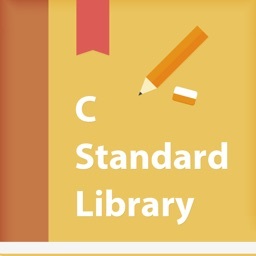 This application summarizes the Objective C language in a format suitable for quick reference. 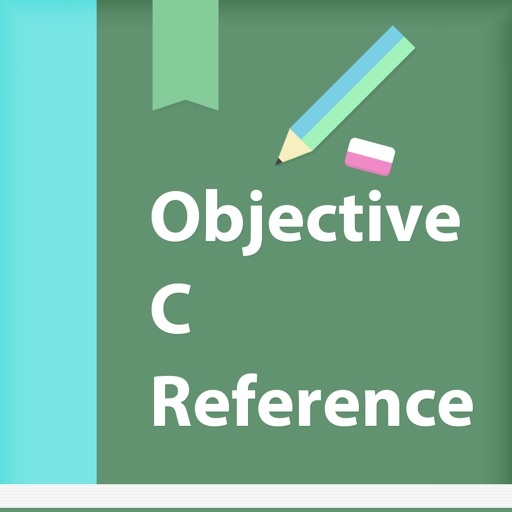 If you are a student learning Objective C programming language or an experienced programmer this will be a valuable tool for you. 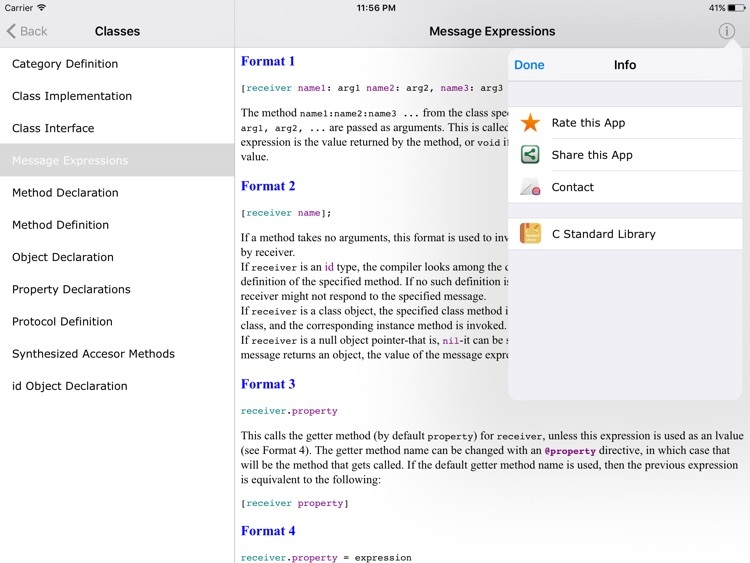 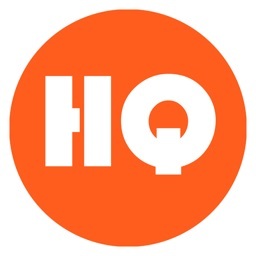 No internet connection is required to acces the informations,everything is contained within the application. 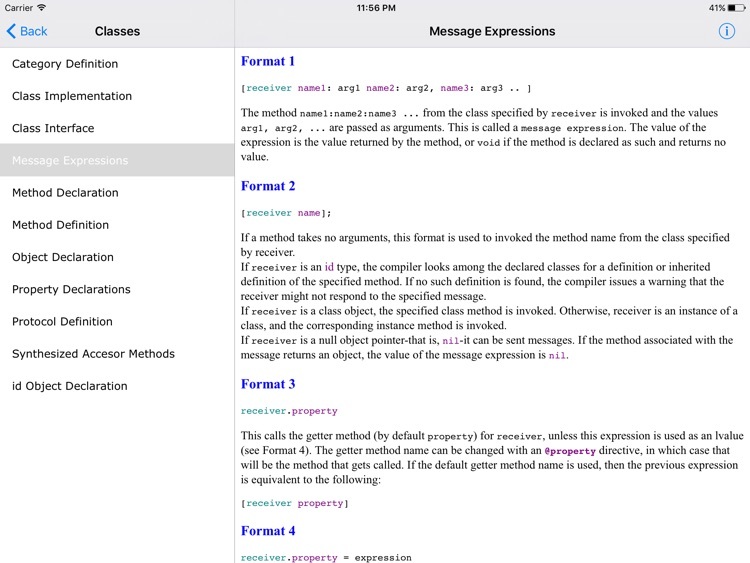 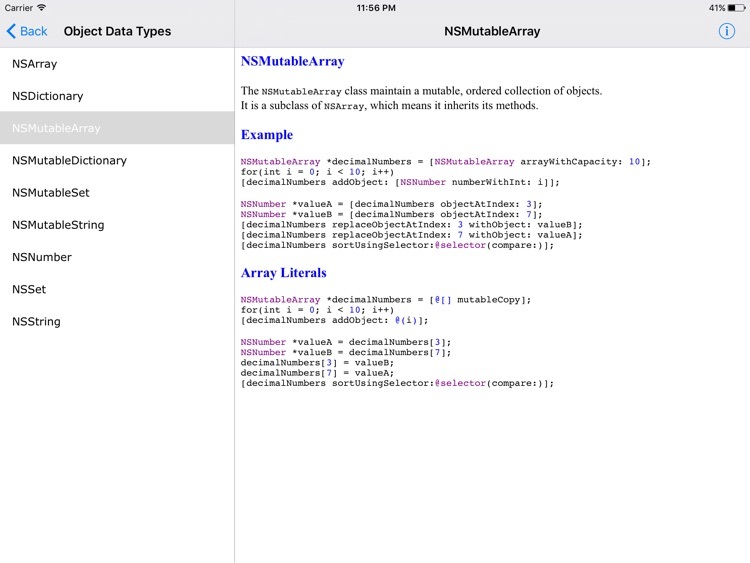 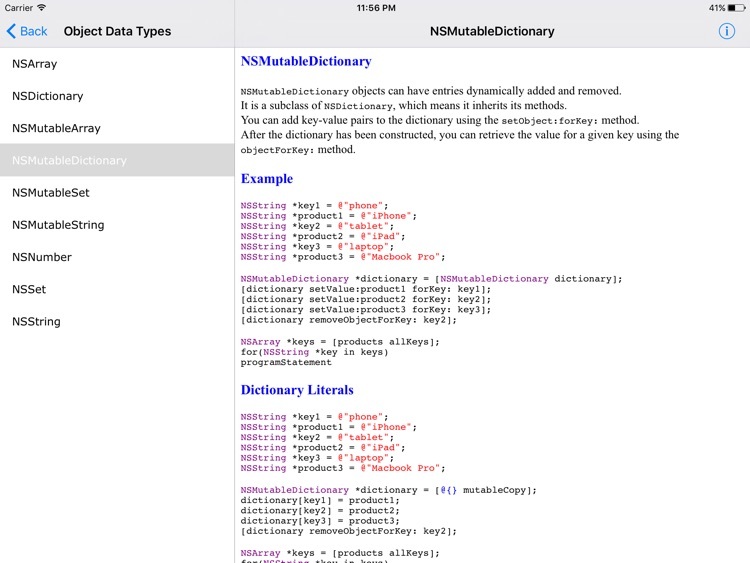 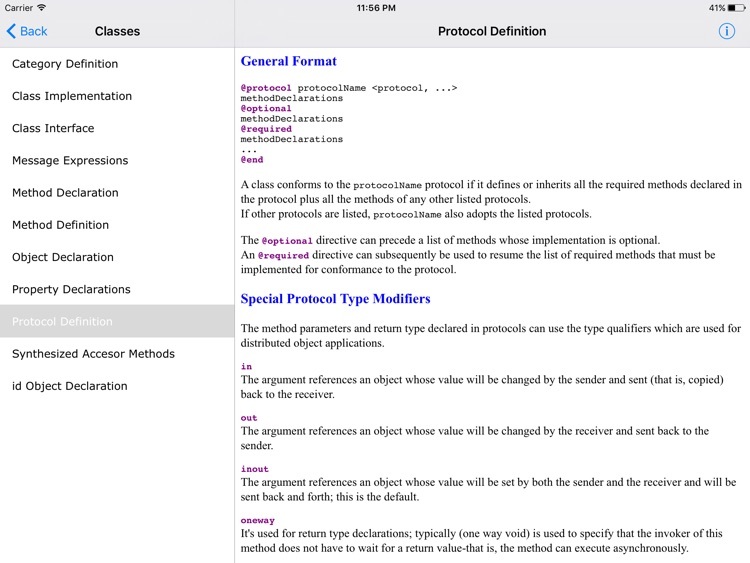 Each detail sheet contain syntax and examples and the app has a glossary to.